Product categories of Industrial Cable Stripping Machine, we are specialized manufacturers from China, Industrial Cable Stripping Machine, Power Wire Strippers suppliers/factory, wholesale high-quality products of Cable Stripping Machine R & D and manufacturing, we have the perfect after-sales service and technical support. Look forward to your cooperation! Our heavy duty bench top Industrial Cable Stripper is Simple and rugged. 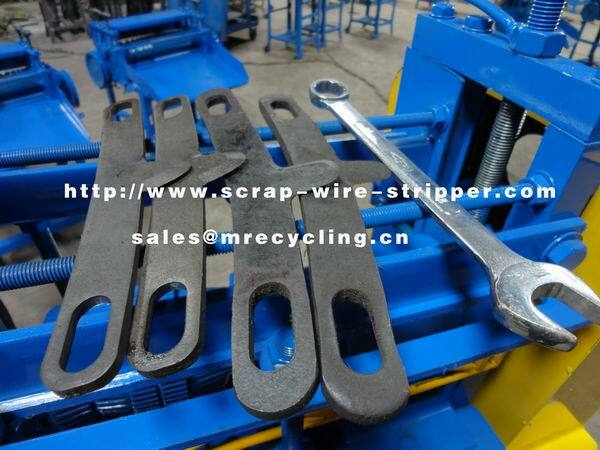 it`s a real money-maker for scrap operations. Easy knife adjustment handle makes it simple to strip a variety of cable types and sizes. Fast and reliable high quality gearbox and components made from and with the highest quality parts available.